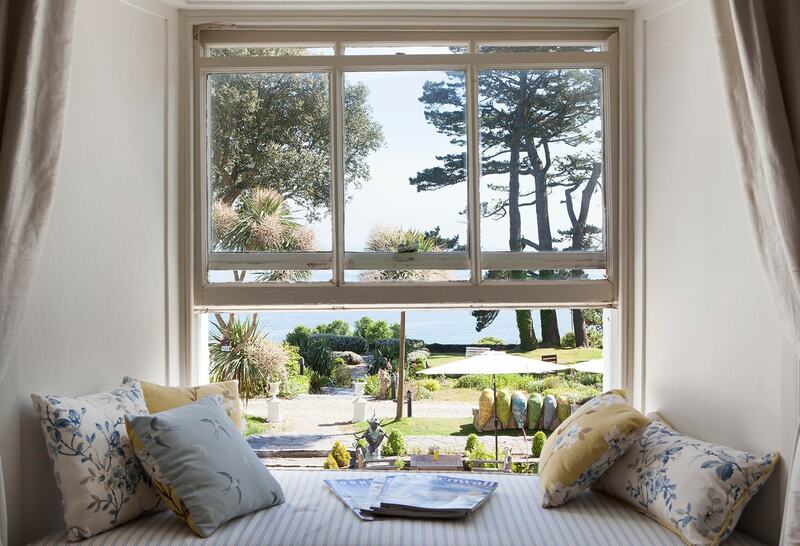 Tantalising Cornwall: Talland Bay Hotel | To Work Or PlayTo Work Or Play | A blog of two halves: Lifestyle guidance for city-savvy socialites, and insight, inspiration and opinion for ad-curious folk. 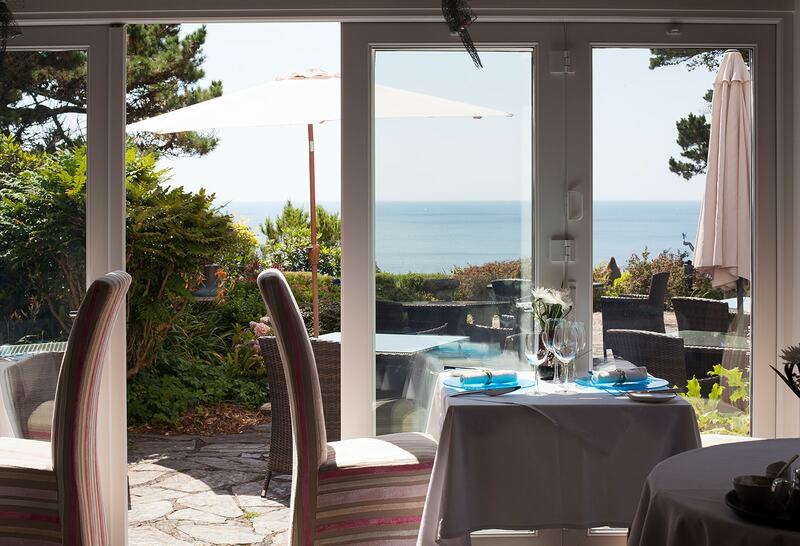 Looking for a Cornish bolthole with excellent food and stunning sea views? 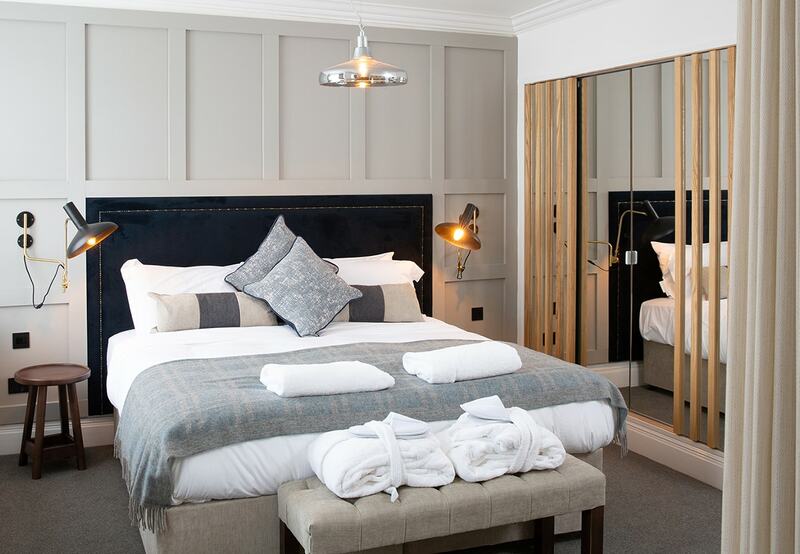 Emily, her man and her dog, visit Talland Bay Hotel for a reviving 24 hours. The 29th December. It’s the ultimate in Christmas time limbo land. 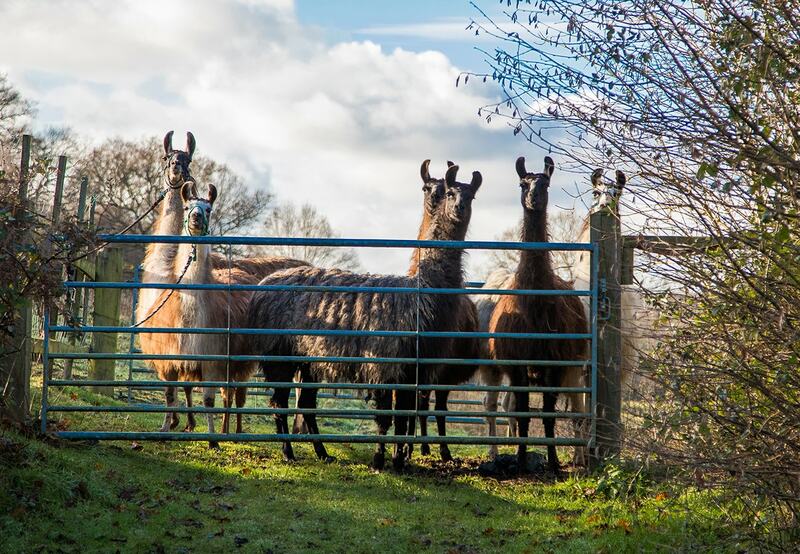 You’ve done your time with your family but it’s a little early to head to New Year’s Celebrations. It was a looming gap in my diary and I wasn’t really up for another duvet day with Netflix and leftover chocolate. So, my fiancé came up trumps with THE ideal Christmas present. 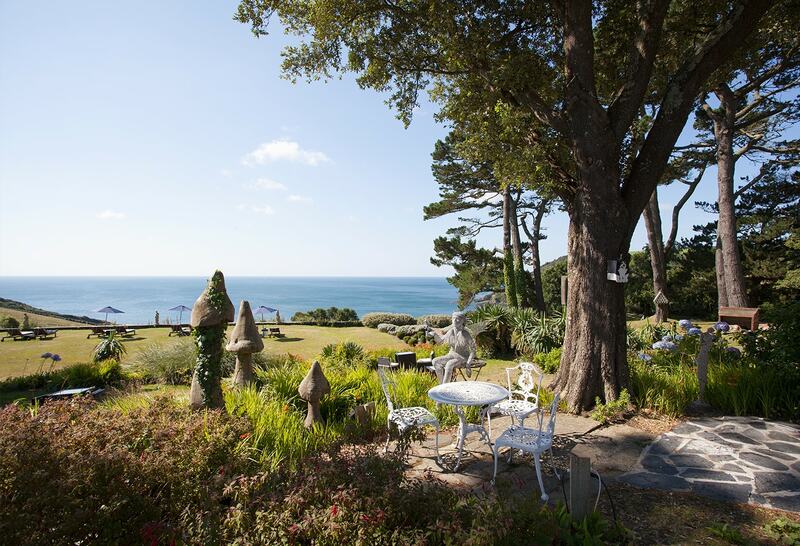 A night at Talland Bay Hotel, deep in the beautiful Cornish countryside overlooking stunning coastline. Not only was it a luxury boutique hotel (the best kind in my opinion), it was also dog friendly and had a highly acclaimed 2 AA starred restaurant where we were booked in for dinner. I wanted to stay forever. The roads down there are rocky and you’ll want nerves of steel to trundle down the one-track lanes. Saying that, once you’re there you’ll want your car to explore the miles of beautiful countryside and the beaches at Polperro, Whitsand Bay and Looe. 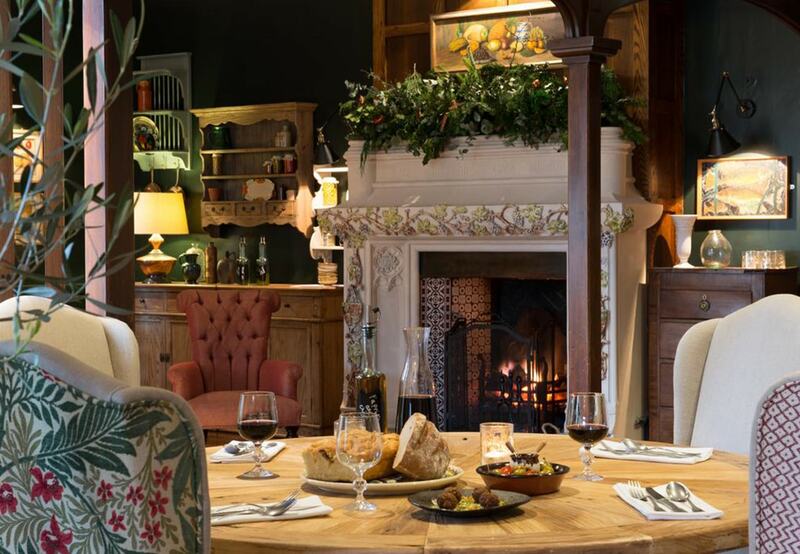 Or you can cosy up by a roaring fire in the hotel and hibernate – the choice is yours. 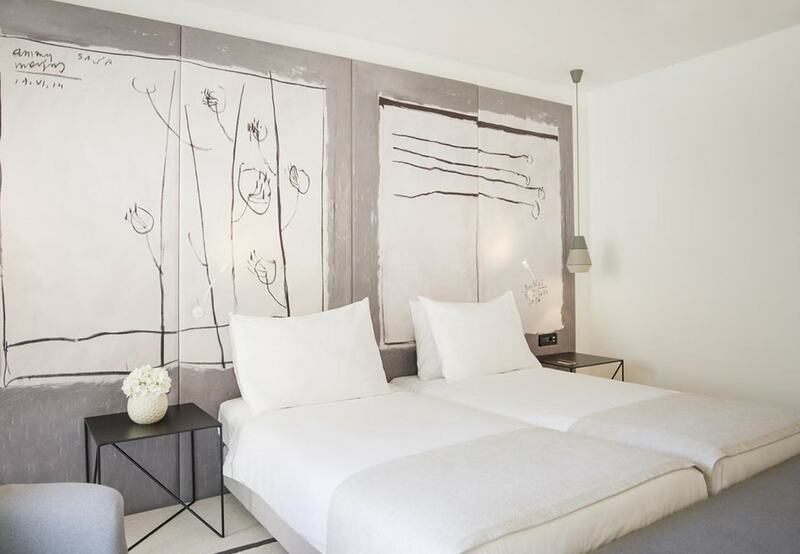 The staff here are amazing from the first welcome and if you’re travelling with a dog they’ll be swooning over it at the same time as they whisk your bags to your bedroom. 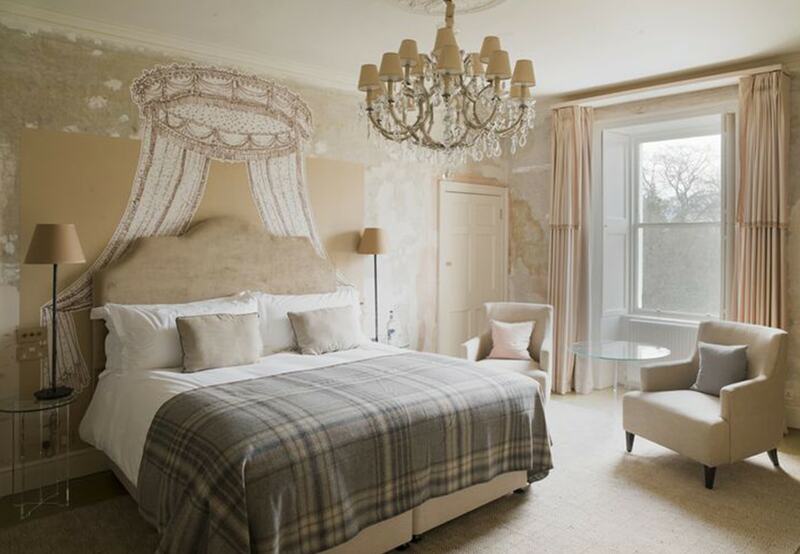 The rooms are all uniquely designed with various themes but in general think lovely white linen, seaside tones and views out of some of the rooms onto the gardens and sea below. Cornwall has excelled with its gins in recent years and the bar at Talland Bay offers dedicated gin lovers page upon page of gin options on its extensive drinks menu. For those who simply can’t decide what they fancy, the Gin Tasting Board is a beautifully presented touch with four miniature gin glasses to be mixed with Fever Tree’s finest. 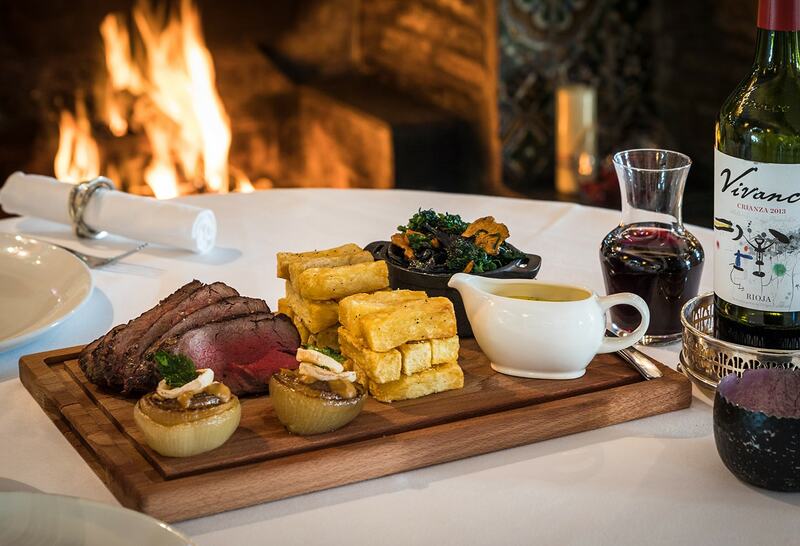 Pre dinner, make sure you sit for a while in the bar and accompany your gin with some exquisite canapes sent out nightly by the chef. These will whet your appetite for the feast to follow and when we visited included Watermelon and Crab, Beetroot Crostinis and the most amazing olives. 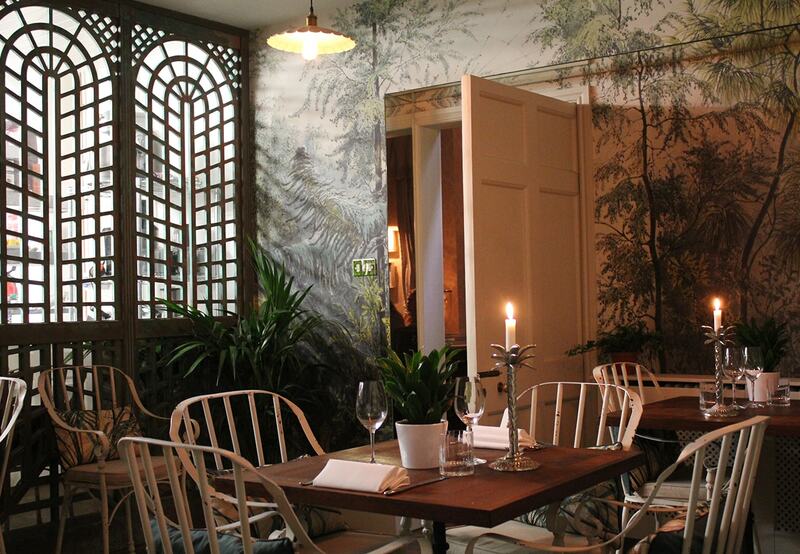 You can browse the dinner menu whilst you wait and once your table is ready, move on through to the dining room. 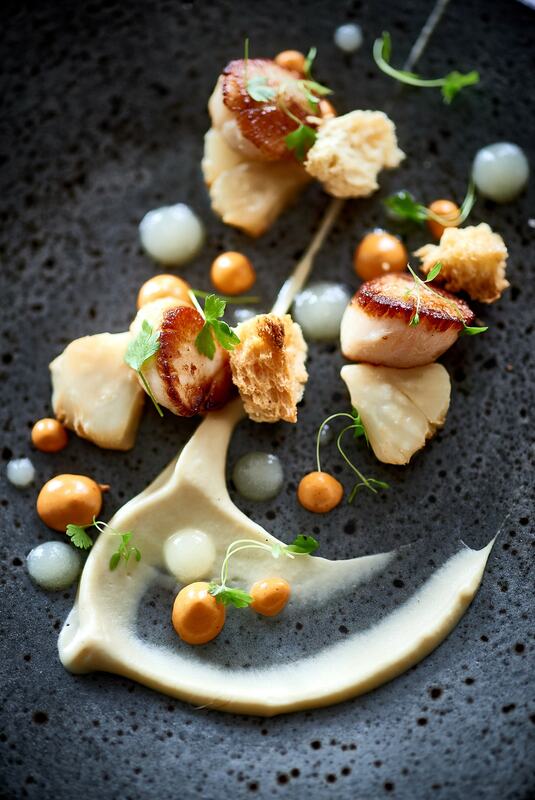 This is Michelin-level starred service and you’ll enjoy an amuse bouche before your starter arrives. The prosecco sorbet was also an excellent palette cleanser after the main. 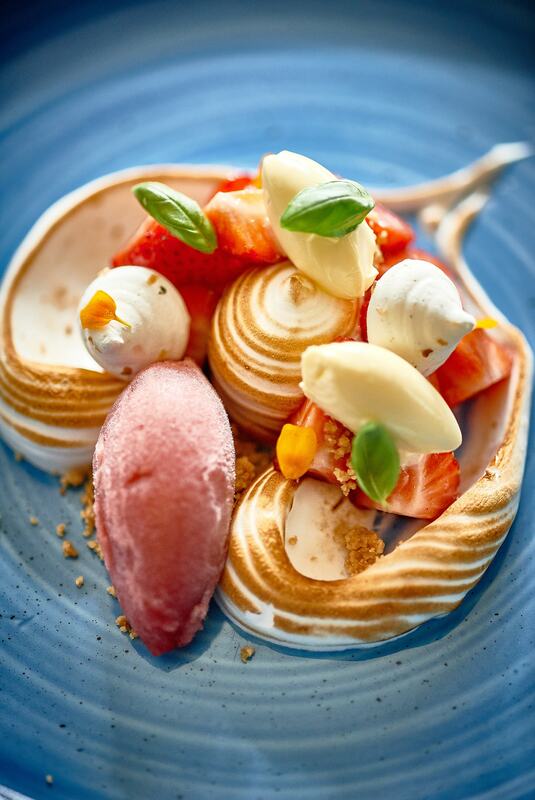 The menu is seasonal and local produce is aplenty here – it’s an absolute dream for fish and seafood lovers, with rich and sumptuous meat options for those inclined. Equally, vegetarians and vegans won’t be left wanting, and wine buffs will have a field day – we tried the Chablis and the Spanish Rioja – both divine. The best part of eating at your hotel is simply stumbling up the stairs to rest your head. You’ll sleep like a baby from the endless sea air and the soft comfy beds. A pre breakfast walk down to the bay is a great way to revive your appetite, and exercise any restless pooches. Alternatively you can work your way through a stack of magazines with steaming coffee in hand. Breakfast is served in the conservatory with sunlight streaming in and the sea crashing away in the distance. The smoked salmon was delicious and the full English looked incredibly satisfying. 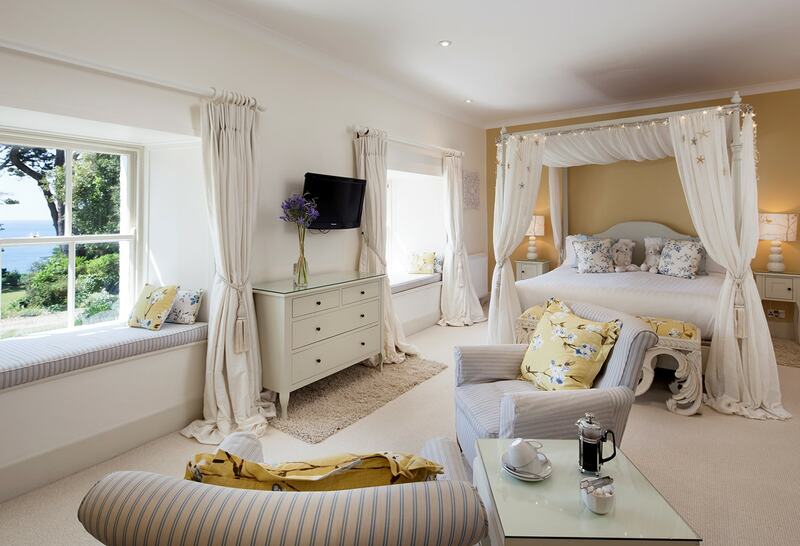 For more information or to book, visit the Talland Bay Hotel website here. 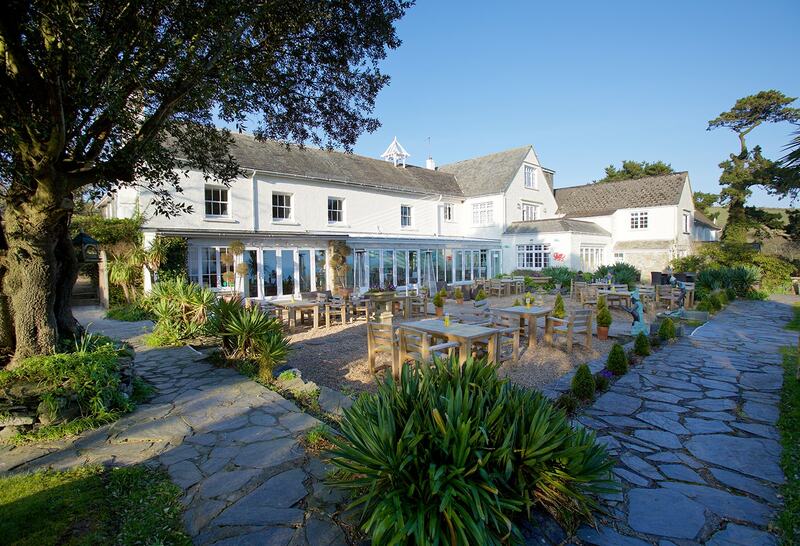 Talland Bay Hotel, Porthallow, Cornwall, PL13 2JB.